Little to no place for gardening? 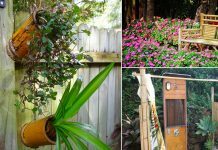 Learn how to create a lot of planting space anywhere with 28 GREATEST Vertical Gardening Ideas in this post! 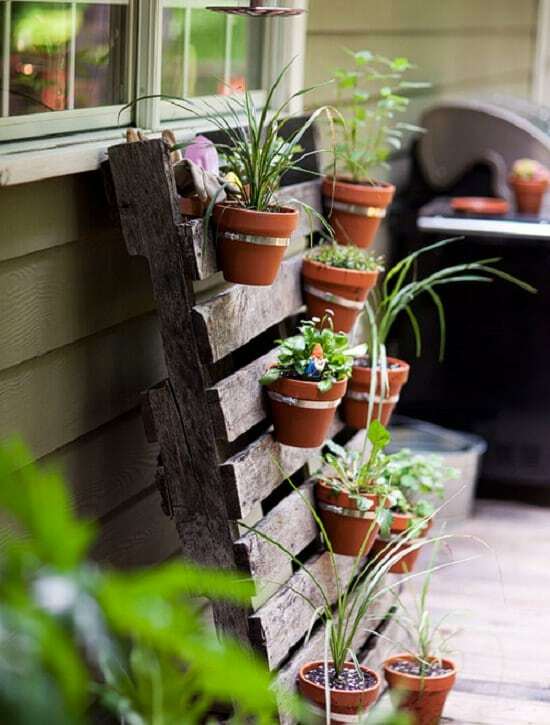 With some hose clamps and screws, you can secure your terracotta or plastic pots on the pallet board. 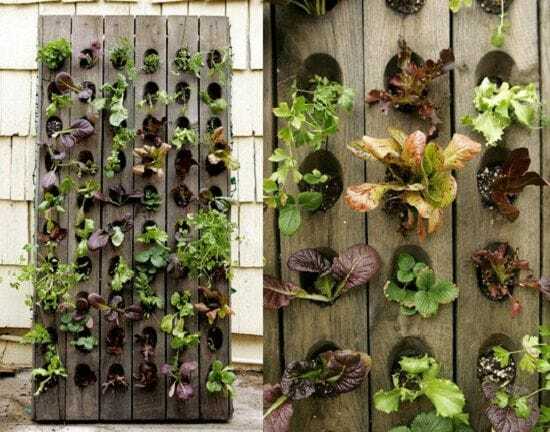 An innovative way to upcycle and get more vertical space for your gardening. 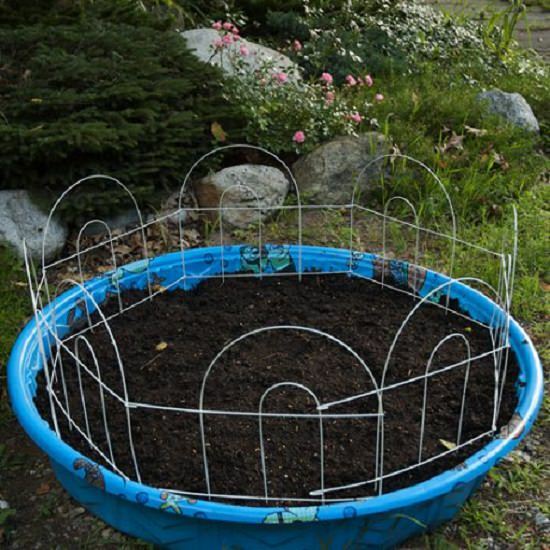 Inexpensive and easy to make; this kiddie pool planter is perfect for growing greens and herbs. Visit the Spruce to learn the process! 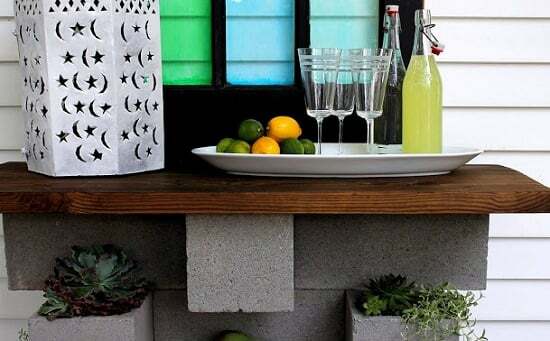 This modern planter idea is useful for small spaces. As you’re growing succulents in this, it’s low maintenance as well. Visit the Apartment Therapy to learn more! 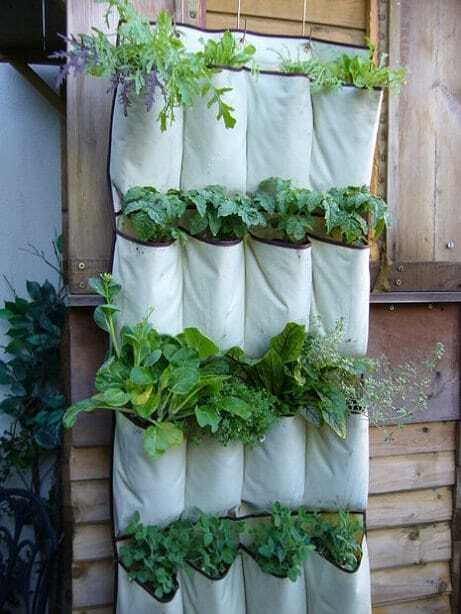 Visit the Instructables to find out how to create this vertical vegetable garden using hanging pocket shoe store! 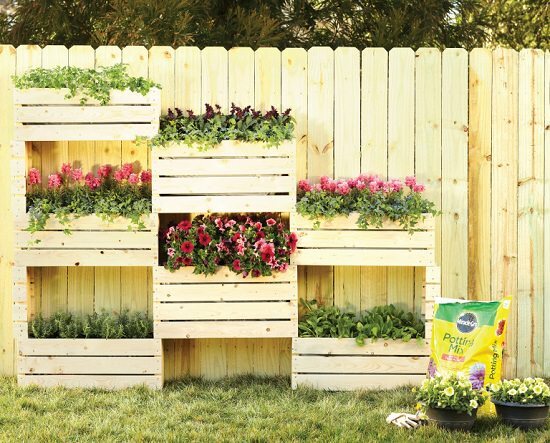 This DIY pallet garden is perfect if you’re out of space to plant more in pots in your container garden. 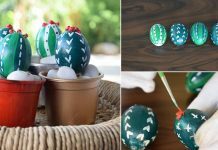 Check out the tutorial at the Apartment Therapy! 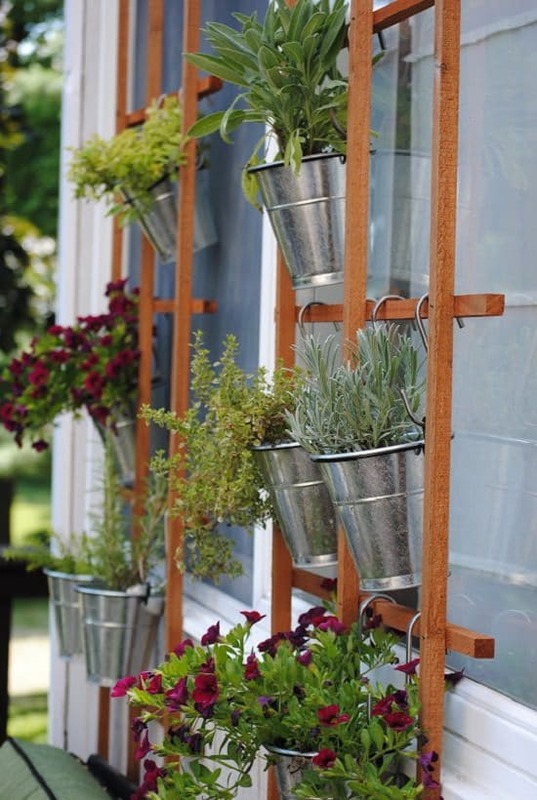 Grow herbs or salad greens vertically in this window box. Get more details at the MarthaStewart.com. 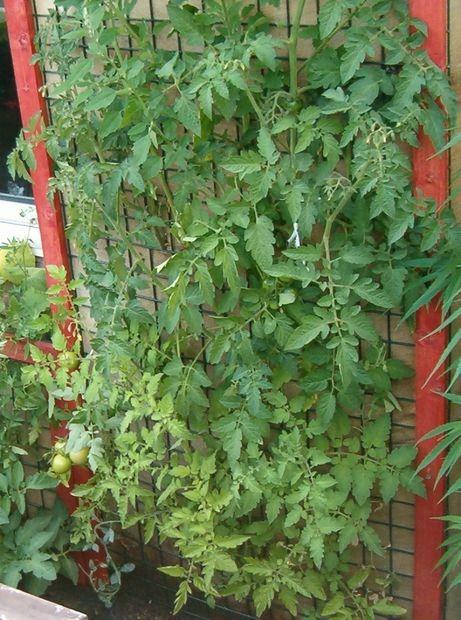 Urban life always constricts the love of gardening, due to lack of space. 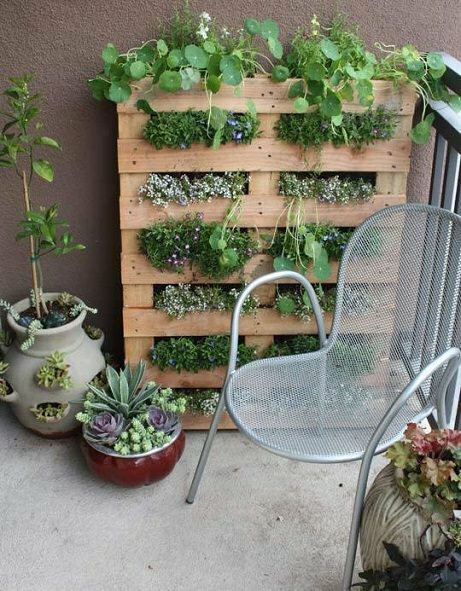 In that case, setting up a vertical garden is the most viable option. Visit Instructables to check out this idea! 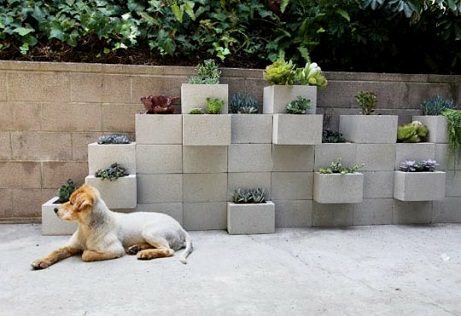 One more cinder blocks DIY vertical gardening project. It’s easy, cheap, and low maintenance. Visit hunted interior to learn more! 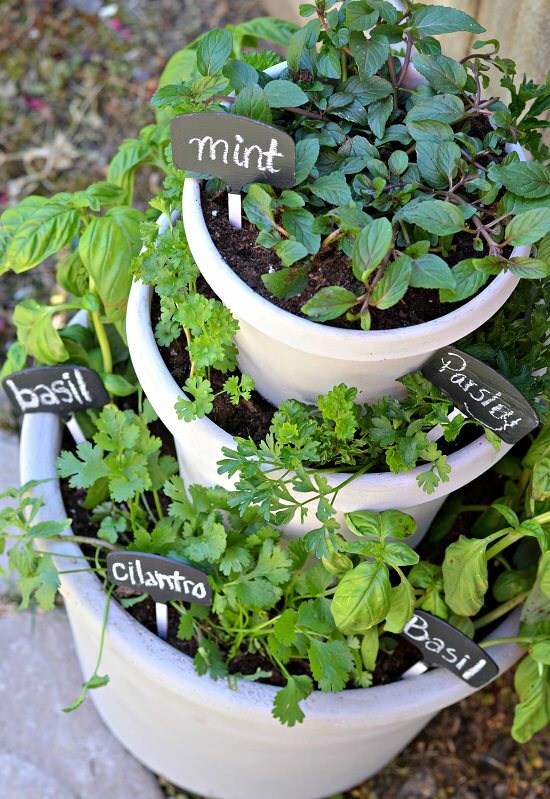 You can dedicate a space from your urban garden to grow herbs. 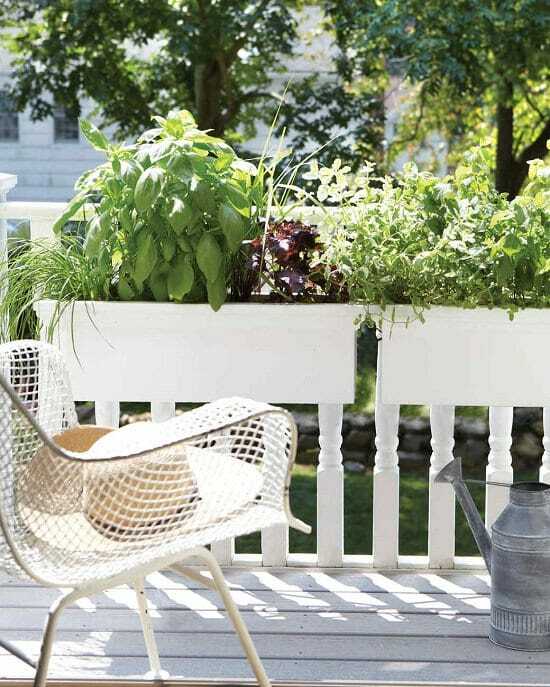 This tiered herb garden idea here is for the deck, but it’s also copiable for the balconies, rooftops, and porches. 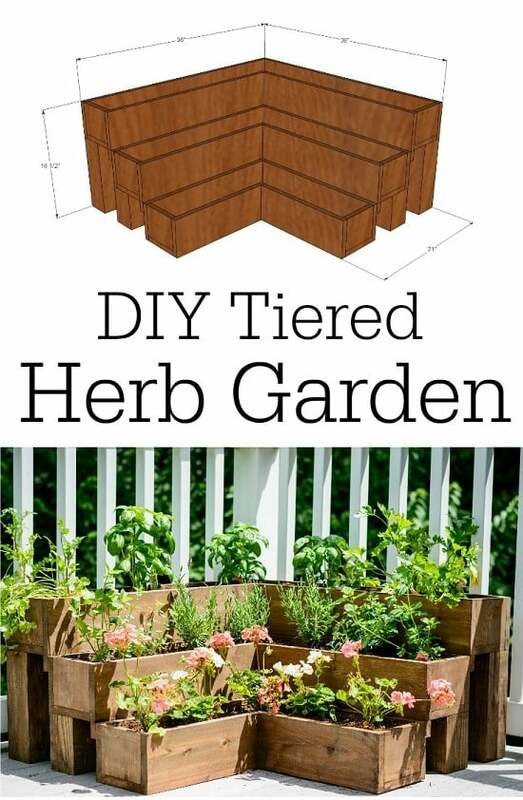 This post is a gift for our readers, as it’ll go on, you’ll find more profound lack of space growing ideas like this DIY stacked herb garden tutorial here! 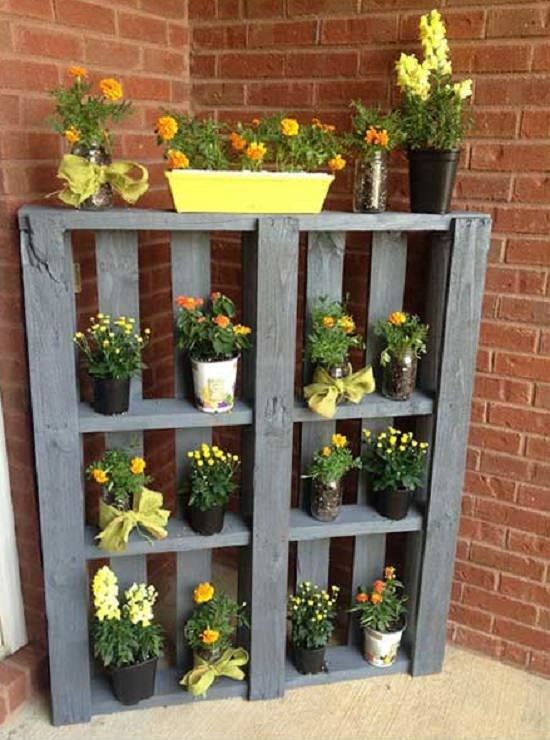 Pallet board painted and used to hold planters. 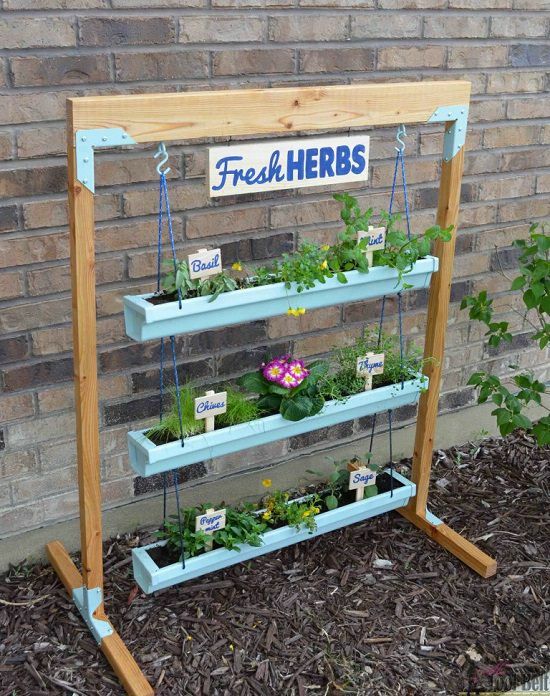 An excellent idea to satiate the gardener in you. The detailed post is here! 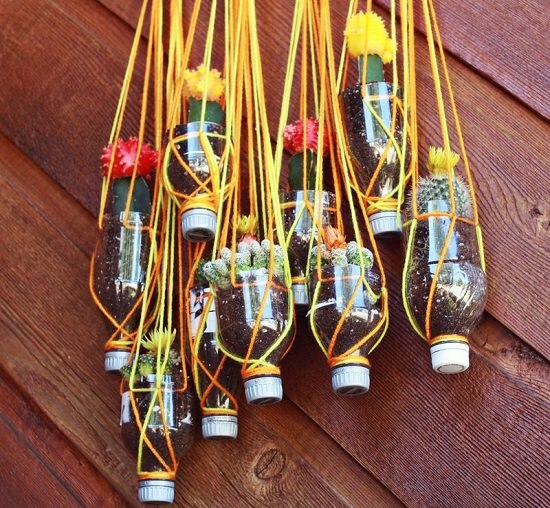 Recycle the soda bottles and use the vertical space aptly, visit A Beautiful Mess to see the detailed post! 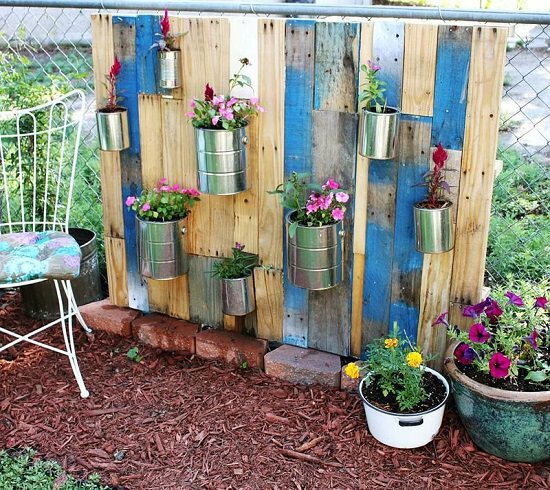 Once again, visit A Beautiful Mess to see this different, adorable, and creative DIY vertical garden. 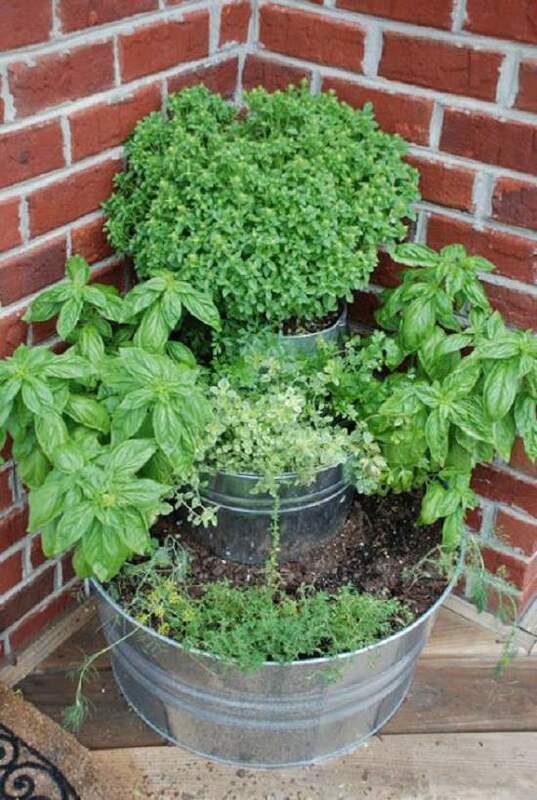 Grow herbs in the vicinity of your kitchen even if you’re living in an ultra-modern city where space is premium, and you’re short of it. 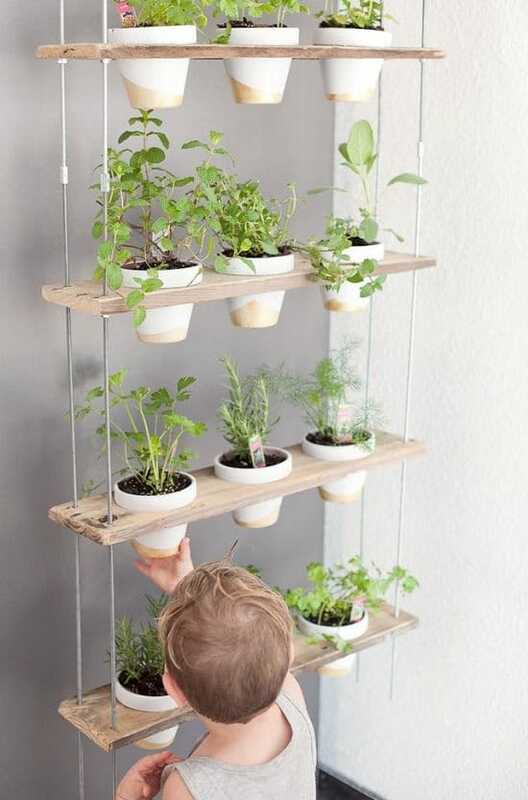 Visit the Kitchn to see this DIY Herb Wall idea! 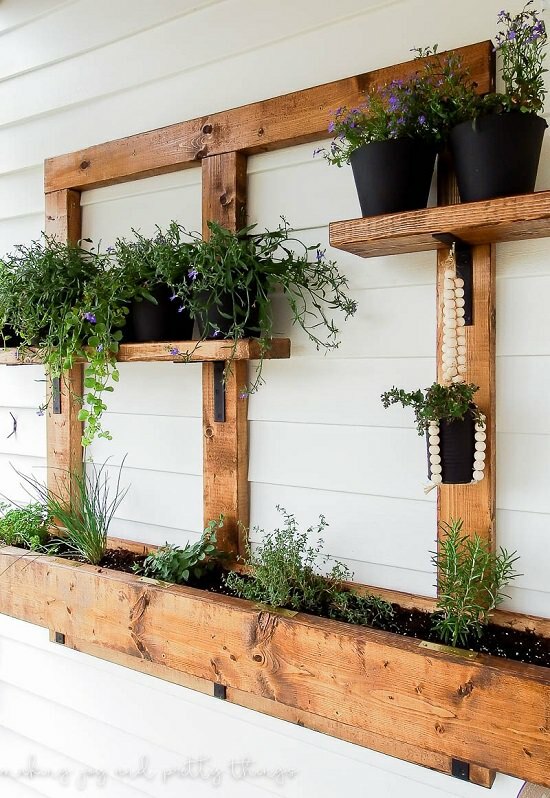 This excellent DIY project is not very easy to accomplish, but we admit, it’s one of the best on this list. Check out the instructive post here! 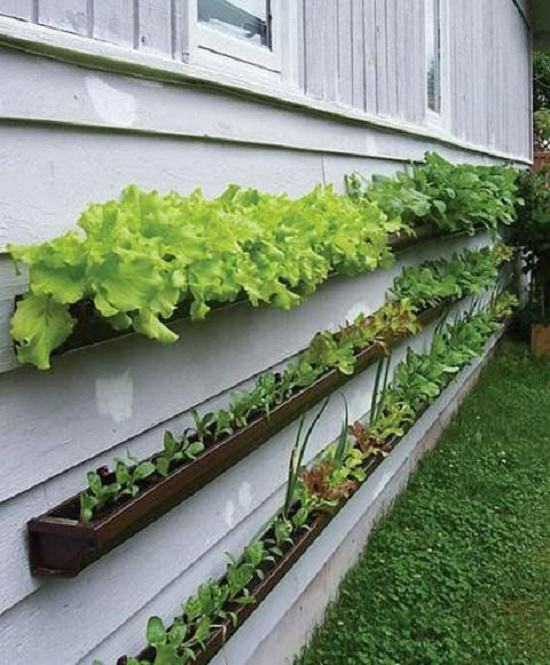 Growing plants, especially the greens in the gutter is a new trend, and we also added a post DIY Gutter Gardens. You can look at this idea here! This is an innovative idea, which deserved to be on this list. 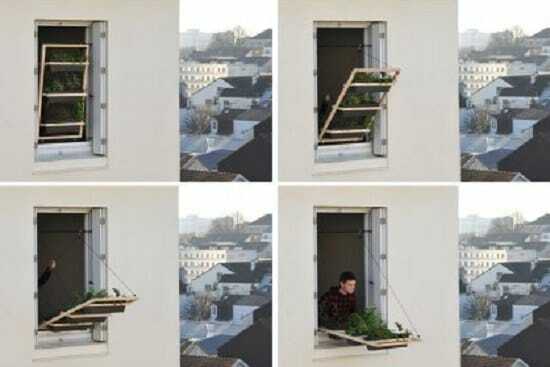 They used window shutters to grow plants. Learn more about this here! 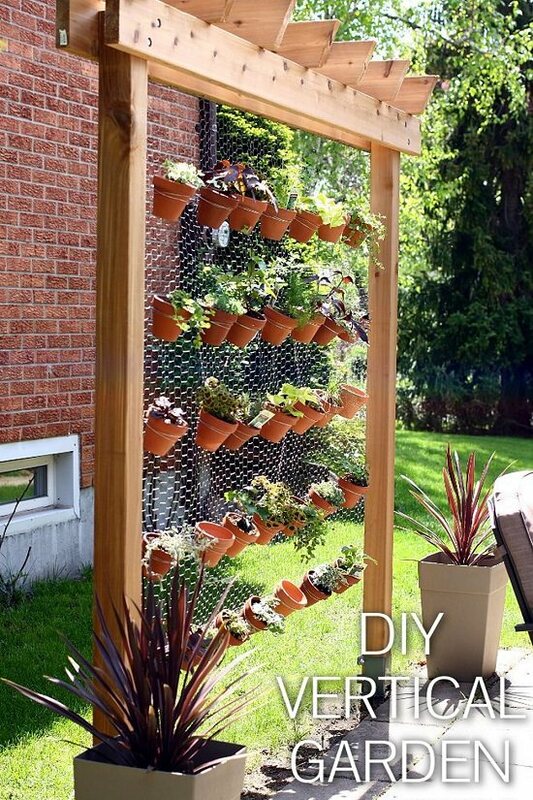 Create this vertical planter following the tutorial video available at the Instructables! 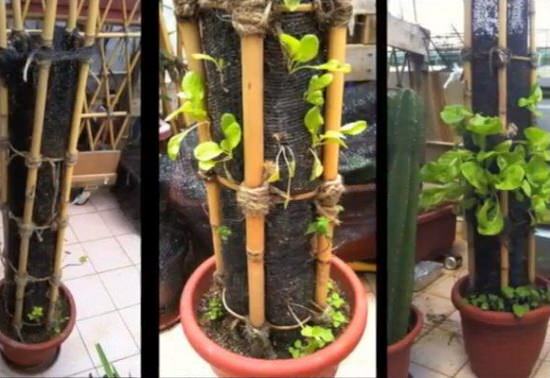 Your problem of lack of space can be solved if you do grow plants vertically. Visit the Sunset to learn how to create a column of succulents or strawberries, if you want something edible! If you’ve got a spot that receives full to part sun, duplicate this DIY available here and plant your favorite herbs. If you’re living in a condo or apartment and want a stroke of green into your interior, create a fruit basket (or something similar) into a vertical planter. Visit the Brit to learn more! This before and after post here shows how to turn a dull balcony into an urban garden by adding vertical planters, containers and suitable plants. 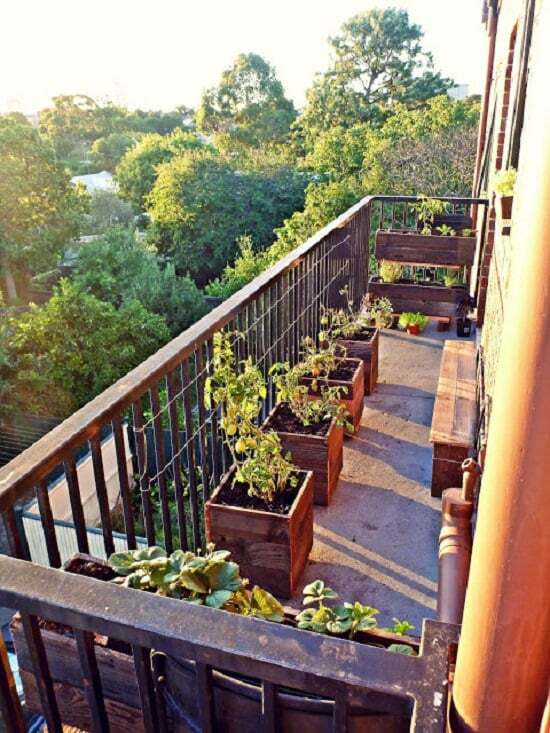 If you’re a balcony gardener, must check this out! 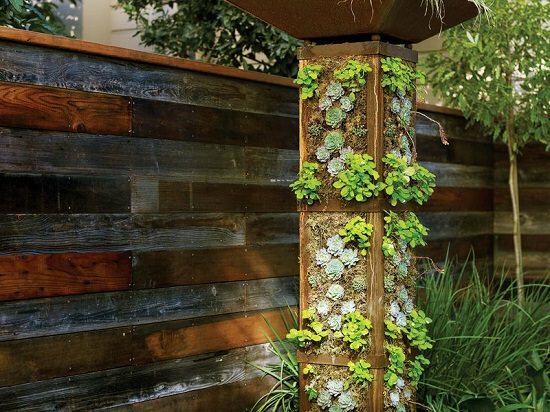 Visit Her Tool Belt to see how to create this amazing gutter planter with stand. 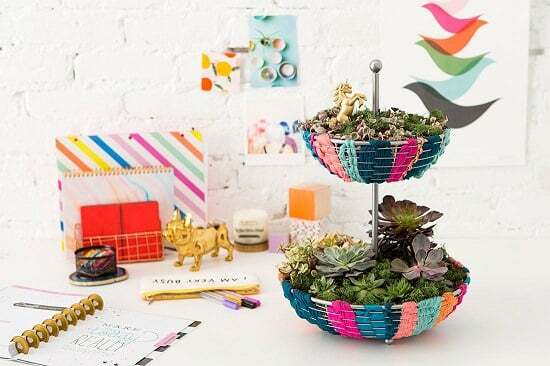 This planter can increase your growing space thrice! 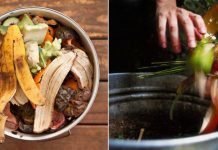 If growing your own food in a little to no space seems like a dream to you, this post at the Apartment Therapy will open your eyes! Dresser drawers converted into a vertical vegetable garden. The how-to is here! 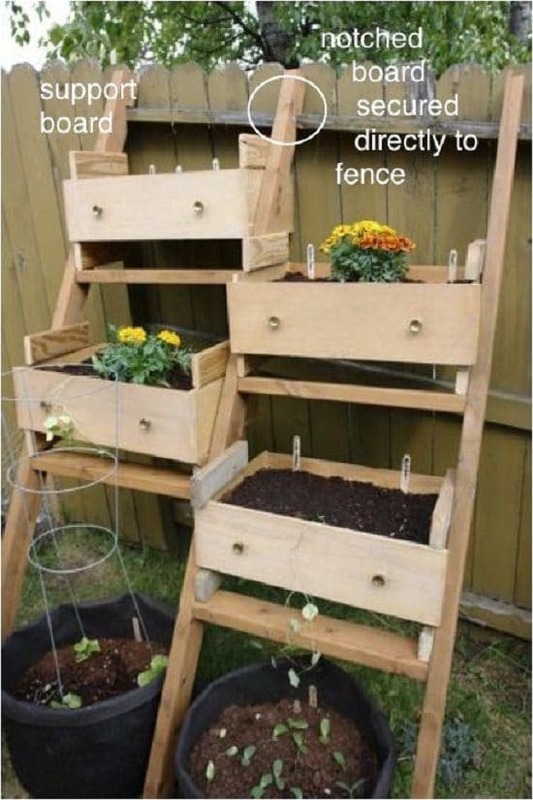 This stacked planter project can be copied and used on a rooftop, patio, porch, balcony or any other space constricted area where you want to grow plants. Visit Good Housekeeping to learn more!